This trip was the second major leg of our epic around-the-world tour that consisted of Eastern Australia as well as selected countries of East Africa. The Africa portion of the trip consisted of a series of tours run by tour operators who each specialized in a given country or region. I’m breaking each of these African safaris into individual itineraries starting with Zambia. Hopefully, this modularization may help you with your trip planning by making it more manageable instead of coming to grips with the further complexity of stitching a bunch of these smaller safaris into a much longer one that lasted more than a month (or two months if you stitch Australia in there). 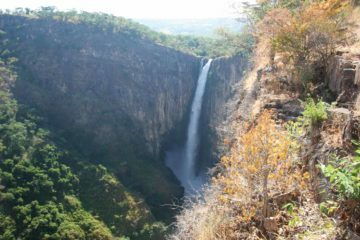 The premise of this itinerary was actually a pre-packaged itinerary covering ten waterfalls in ten days in Zambia. However, the reality was far from it, and we found ourselves really off the beaten path and seemingly on the edge of tourism in a seemingly untouristed part of the country. We really went for it on faith with this trip, which came with lots of unexpected surprises that were both highs and lows. 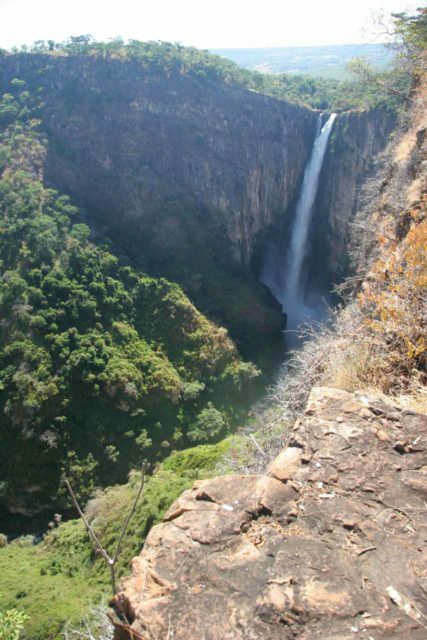 Kundalila Falls – This was the first of the waterfalls we saw in Zambia not named Victoria Falls. 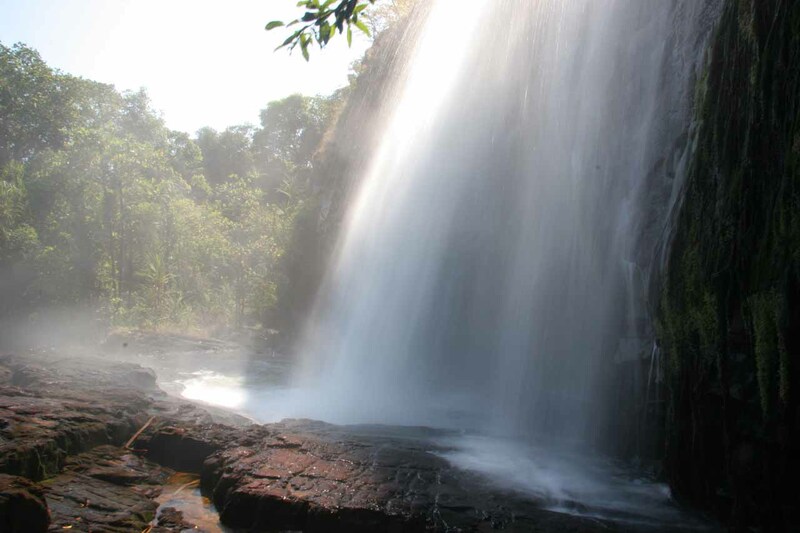 It sat in the rocky terrain of the Serenje Hills where a local guide took us down to an overlook (of both the upper part of the falls in addition to the vast expanse of the terrain) as well as its base. 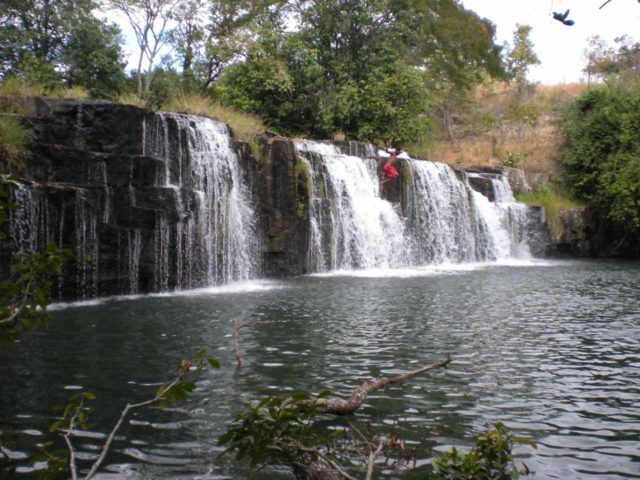 Mumbuluma Falls – This was actually a pair of wide waterfalls, where the lower one allowed the local kids to jump from the top into the pool below. It felt like we were the only foreigners to come here so there was quite a lot of quiet curiosity from the local kids probably wondering why we were here. 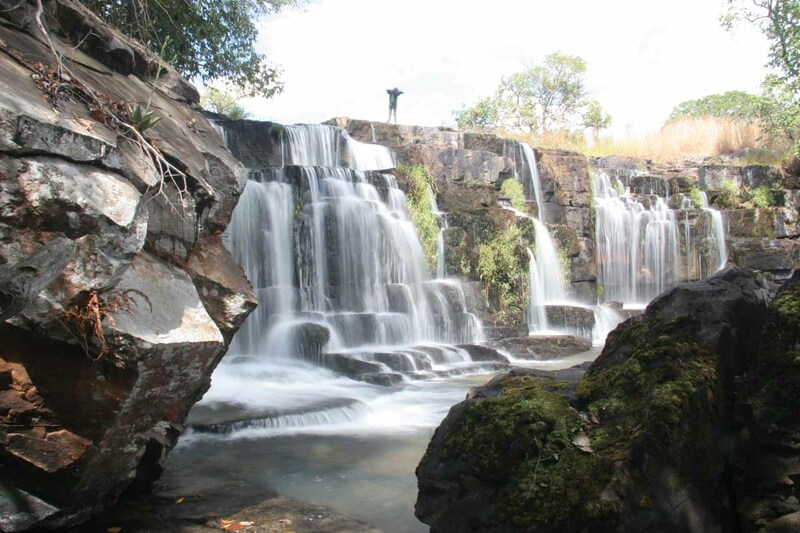 Still, we found this to be one of the better waterfalling experiences in the country as the sheer thought of going some place where few foreigners would go was special in and of itself. 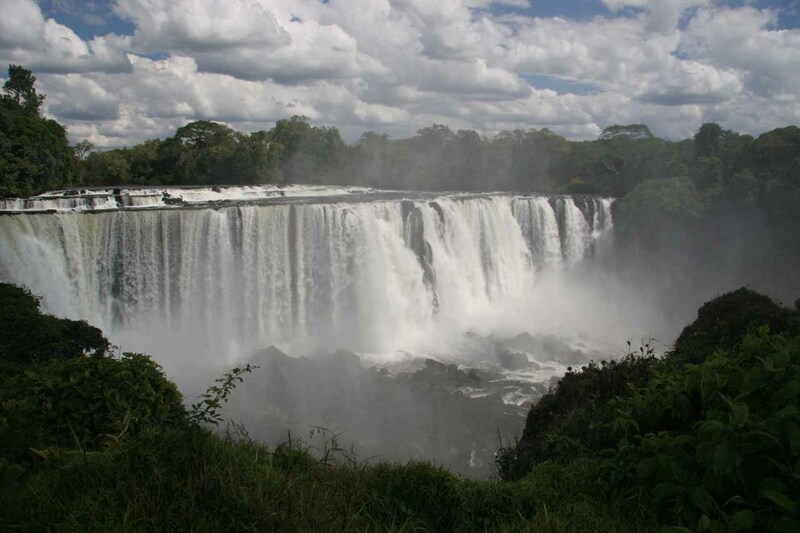 Lumangwe Falls – This was one of the most impressive waterfalls seen on our Zambia Safari trip as the Kalungwishi River fell over its entire width in a nearly Niagara-like wall of water. We were able to see it from the car park (which wasn’t easy to reach for our safari driver given the bad condition of the road) as well as from its misty base and from its brink. 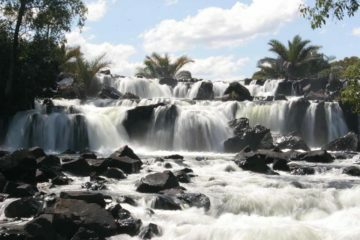 Kabwelume Falls – I’ve also seen this spelled Kabweluma Falls (according to a book we picked up whilst in the country). It was a difficult-to-reach waterfall mostly because of the terrible road to even get this far beyond Lumangwe Falls. 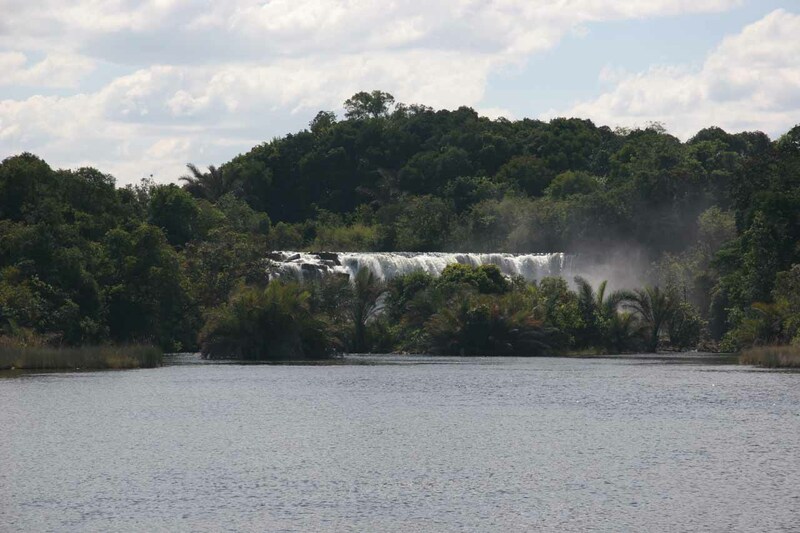 It’s also on the Kalungwishi River, where this multi-tiered multi-segmented falls nearly eluded us given the safari vehicle drama we would wind up experiencing during our visit (that included our guide nearly losing his car keys in the river!). Nonetheless, it was a waterfall quite unlike any we had seen before. And I have a feeling we may never see one like it again. 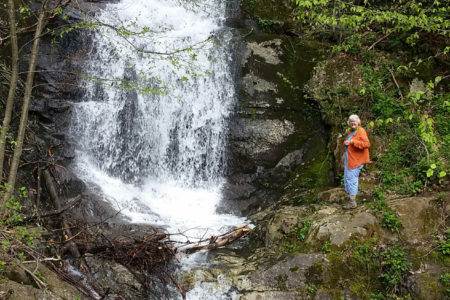 With some rumors of hydroelectric development threatening the existence of this waterfall (and possibly others further downstream), we really hope this one sticks around. 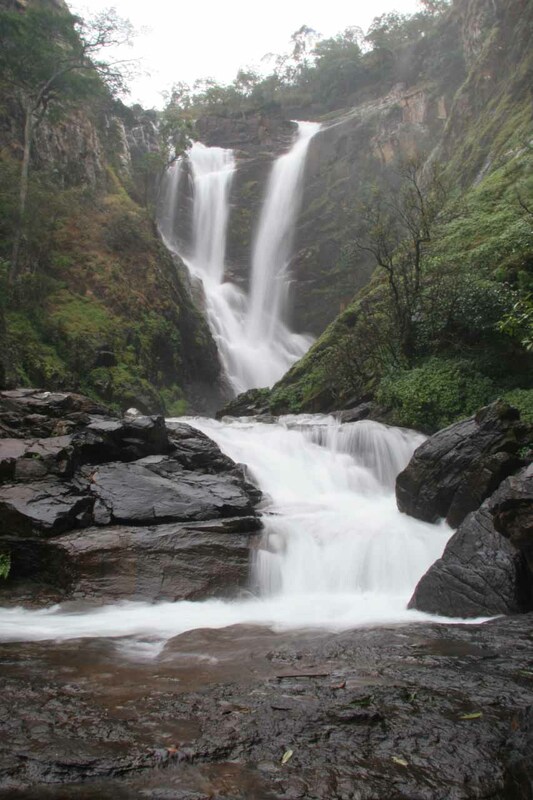 After all, you don’t see waterfalls as wild and as big as this around the world very much. 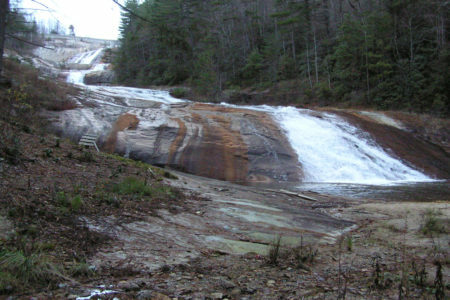 Ntumbachushi Falls – This was one of the better administered waterfalls with a good road and good trails leading to both the base of the segment you see pictured here as well as a different segment a short walk away. 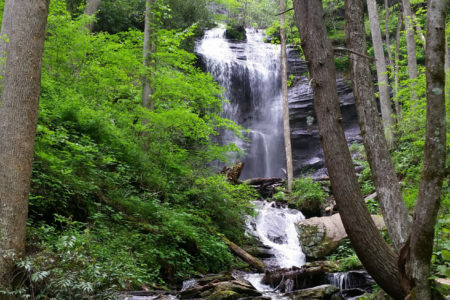 There was also a trail going up the escarpment to other smaller falls as well as water holes. 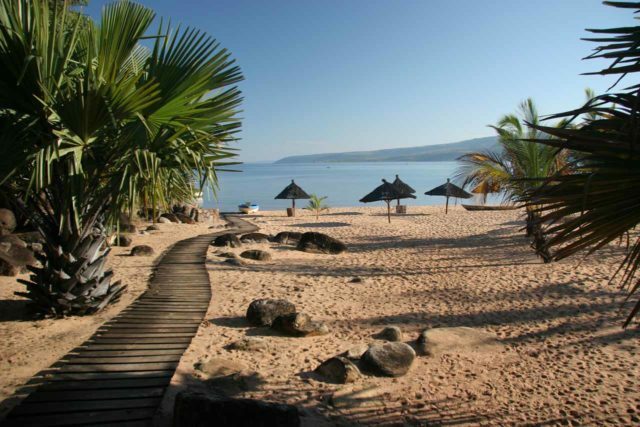 Isanga Bay – This was actually the name of an accommodation that we stayed at as well as the section of Lake Tanganyika that the resort looked out towards. So imagine what kind of place it was when we’re calling it a highlight of this trip! 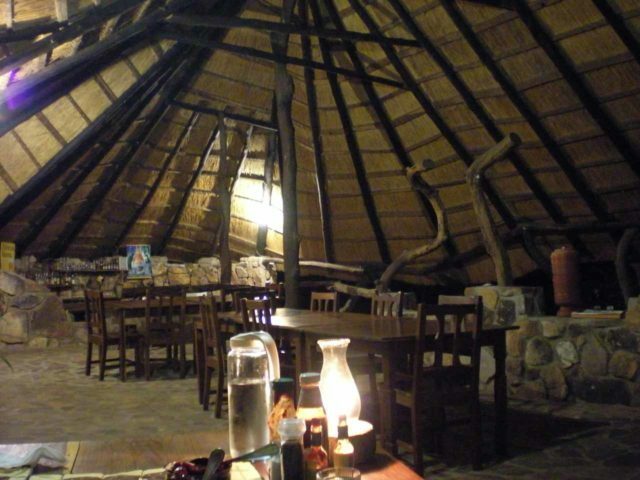 Indeed, it was a perfect paradoxical blend of an authentic African experience with the first world comforts. 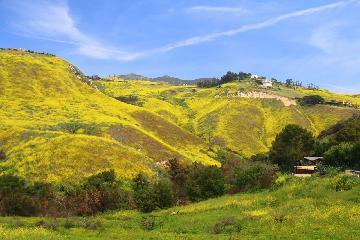 And add to that the beauty of the property as well as the warm people who run the place (Rene and Sean [sp? ]), and we still remember back fondly of our experience here to this day. 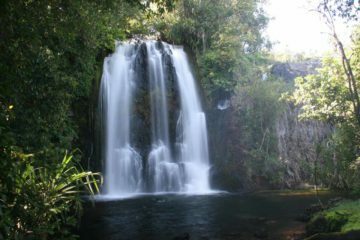 Kalambo Falls – This remote waterfall required a bit of a long and hot hike along with a boat ride (from Isanga Bay to the local village at the start). 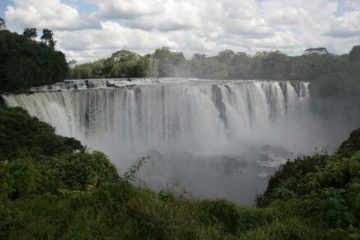 But to witness this plunging waterfall shared between Tanzania and Zambia was a sight to behold. 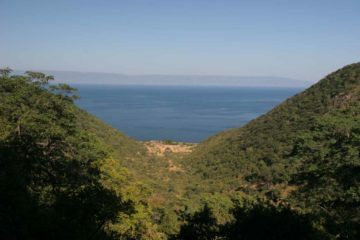 Plus, the return hike yielded mindblowing views of Lake Tanganyika, which itself is shared by several other African Nations. Indeed, this was yet another one of those once-in-a-lifetime experiences that stuck with us long after it was done. 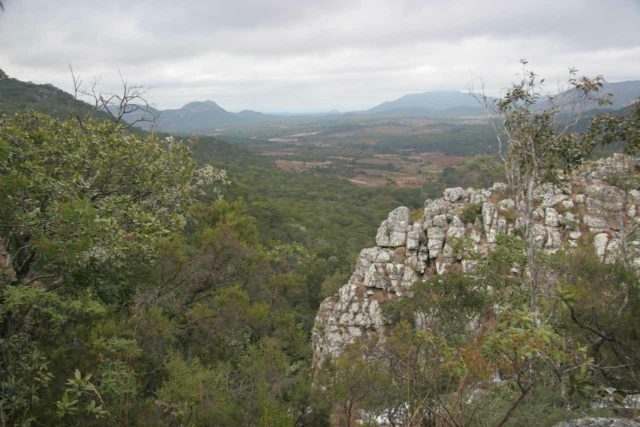 Mutinondo Wilderness – This was both an accommodation and wilderness retreat. 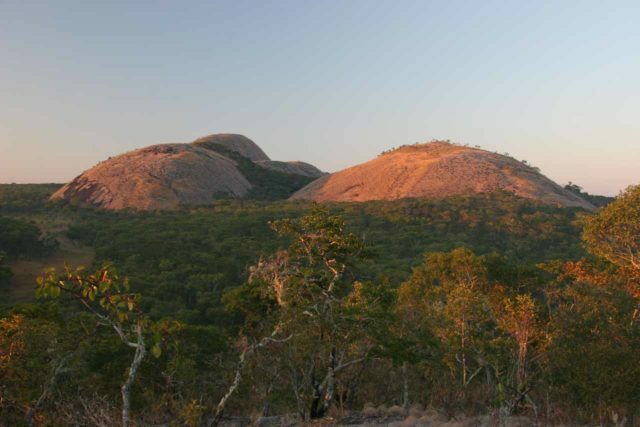 Yet it was the scenery that I found captivating as it seemed to bring me back to the kind of scenery I might find near Uluru or Katja Tjuta (formerly called the Olgas) in Outback Australia. The overall experience in the lodge itself was unlike something we had ever done before, and yet it felt cozy and comfortable, which goes to show you how a little resourcefulness can teach you a lot about creature comforts can still be accomplished without as much energy and resources expended as we’d typically expect. I really wished we spent more than a night here to explore more of this wilderness (including a waterfall or two). And in hindsight, I would have traded a day or two earlier on in this trip (to some subpar waterfalls) for this place in a heartbeat! As I mentioned earlier in the introduction that this safari really seemed like it was on the cutting edge of tourism. 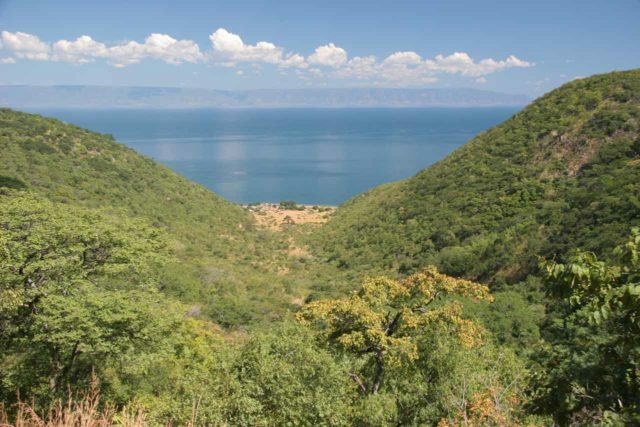 There was definitely not the cookie-cutter pre-packaged safaris that you see for places like Tanzania and Kenya, and this didn’t even cover the popular parts of Zambia, where safaris tend to focus on the south of the country covering Victoria Falls and South Luangwa National Park. It turned out that quite a few of the unexpected things that happened (like the safari vehicle breaking down in the middle of nowhere, the unrealistic schedules, and the stories by accommodation owners of non-payment by the safari company we went with) kind of forced us to really grow and take charge in ways we never would have imagined going into this trip. Things Take Longer Than Expected: When we planned this trip, we never could have imagined that driving only a couple hundred miles in day would take the entire day! But that’s the reality of a developing country where roads full of giant potholes means you’re not going to be gunning it at 50 miles per hour (or 80 km/h) and get to where you need to go in only a few hours. Add to that the wear and tear it has on the safari vehicle, and we did find ourselves having to wait for repairs to things like a bent axle, or overheating, etc. 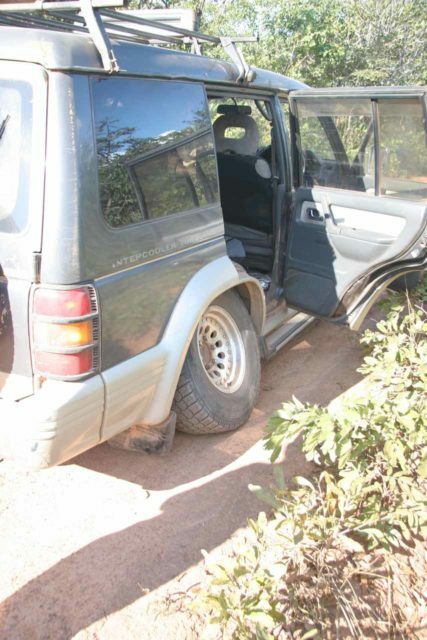 We even had to endure a safari vehicle breakdown which really amped up the uncertainty of outcome of our trip. So the bottom line here is to try as best as you can to give margin (extra time) in your trip planning, especially if it’s a customized tour that’s not a cookie-cutter type trip that everyone else is doing. The Tour Company Matters: Even as I throw shade on cookie-cutter type safaris versus one that’s more adventurous and customized, this results in a trade-off between certainty of outcome versus uncertainty of outcome (and value for what you’re paying). If you’re going to do the latter customized option like we did, you really have to pay attention to who you’re dealing with. Are they reputable? What have people said about them in the reviews? Do they want payment in wire transfer as opposed to more conventional means of payment? Are the guides competent? Hindsight’s always 20/20, but in our case, we were fortunate that the trip still worked out in the end even if it wasn’t what was promised at the outset. That said, it easily could have went south at several moments looking back on it. And we actually had to take charge and make some itinerary adjustments and insist on them given what we knew at the time and the circumstances presented before us (from the broken down safari vehicle to how the logistics of the last day would work out when we had a flight to catch and a long drive preceding it). The Real Africa: Sometimes in the heat of drama and uncertainty, you get gems of moments that you otherwise wouldn’t get if it was a typical tour group itinerary where most of the third world issues are shielded from paying customers. In our trip, we were actually blown away by the generosity of people who didn’t have much (no running water, limited transport options besides bicycle and walking, etc. ), especially when we walked nearly 8km to the nearest village after our safari vehicle broke down. There, the family who looked after us tried their best to keep our spirits up with food, hot tea, and even some TV from DVD knock offs on a second-hand TV and player running on generator power from limited gas while our guide was getting help hundreds of kilometers away. Again, keep in mind that they didn’t have much, and yet this was one of the more well-off families in the village! So this forced us to look back at what we have and take for granted, and it also changed our attitudes towards people as we realized that regardless of what hand we were dealt in life (most of which would be out of your control like what situation you’re born into), we all have the same basic needs and desires. That alone is reason to mingle and trade stories and learn about the ways of the world. And at its core, isn’t that what travel is all about? While ticking off the boxes on an itinerary is important from a cost and value standpoint, we can’t lose sight of what can be learned especially from the unexpected. After all, life throws its curve balls anyways. So how do you deal with them? Or what can you take away from the current crisis to better deal with a similar situation the next time? Vaccination Certificates: One thing we realized between the Victoria Falls part of the trip and this part of the trip was that we had apparently forgotten to bring our Yellow Fever certificate (amongst other proof of vaccinations in that yellow booklet). This certificate of proof of vaccinations was done prior to the trip as we were preparing for it. So as a result of this mistake, we spent quite a few drama-filled hours in Livingstone (prior to arriving in Lusaka) trying to contact the doctor who treated us back at home, then coordinate a rush special delivery to a future destination on the trip. 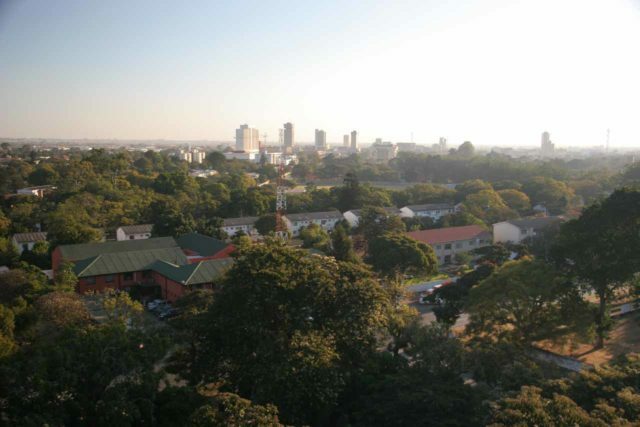 In this instance, that future destination was Lusaka since that was a big city with infrastructure at the end of this leg of the trip, and hopefully we’d get the certificate in time for the next country where we weren’t sure if they’d turn us back for not having this. The bottom line here is when you’re packing your passports, just make sure you keep the vaccination certificates together with the passport so they’re in one place. As you can imagine, when things are separate, they’re easily forgotten. On this day, we had spent the better part of the morning trying to figure out how to secure a replacement yellow fever vaccination certificate booklet at local clinics and through expensive phone calls along with emails. 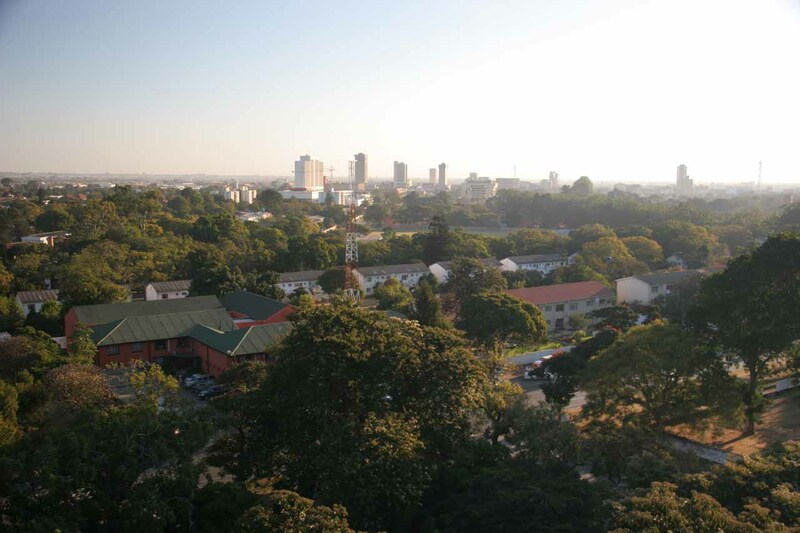 Then, we flew to Lusaka, where we met with our tour operator. Afterwards, we were then driven for several hours to the town of Serenje to settle for the night. 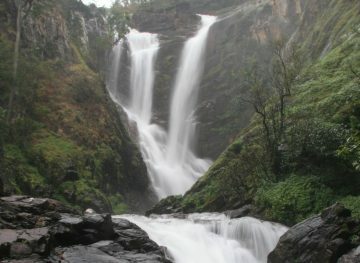 On this day, we spent the better part of the morning visiting Kundalila Falls. 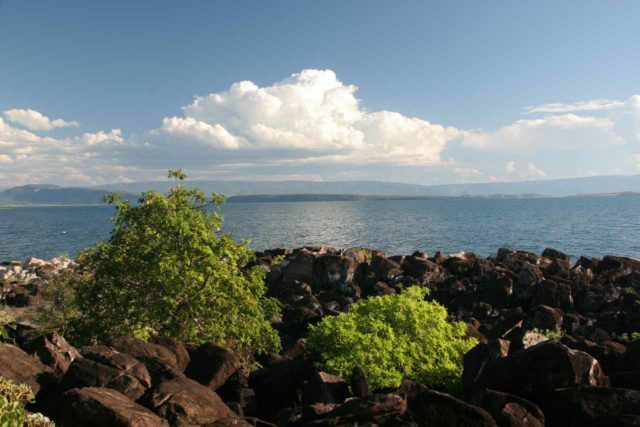 Then, we were driven to Lake Bangweulu where we spent the remainder of the day. This was mostly a travel day with a bit of a delay due to car repair. 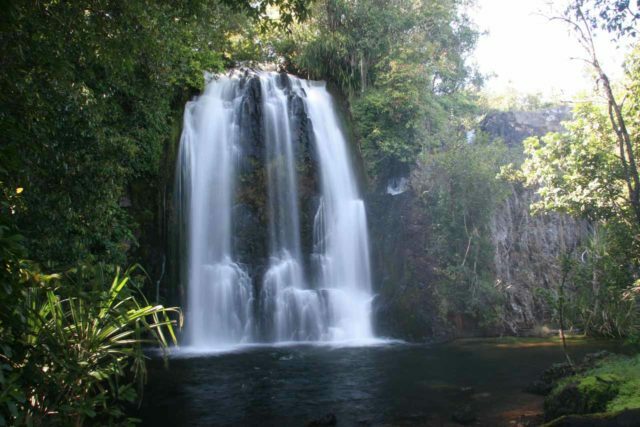 So we wound up visiting minor waterfalls like Musonda Falls and Mambilima Falls, but the only legitimate waterfall we saw on this day was Mumbuluma Falls. On this day, we were driven to Chipempe Falls but weren’t successful with a good experience of it. We then were driven to Lumangwe Falls as well as Kabwelume Falls. But then on the way back to Kawambwa, the safari vehicle broke down and we had to walk to the nearest village before seeking help. It wouldn’t be until around midnight that we finally made it back to Kawambwa. Without a safari vehicle, we had to catch a taxi to go to Ntumbachushi Falls with the park administrator Joseph. Then, we had to hitchhike back to Kawambwa. Afterwards, we got a taxi to do the very long drive all the way to Kasama. On this day, we were driven to Mpulungu by Claire from Thorn Tree Lodge, then boated to Isanga Bay by her brother Sean (sp?). We spent the rest of the day relaxing at Isanga Bay. 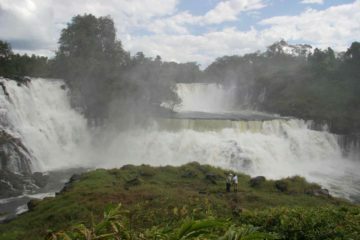 This was a day dominated by the hike to Kalambo Falls. When we returned to Isanga Bay in the mid-afternoon, we had the rest of the day to relax and unwind. This was a very long travel day from Isanga Bay to the Mutinondo Wilderness. Along the way, we visited the Chishimba Falls as well as saying hello to Claire from the Thorn Tree Lodge. Then we made it to the Mutinondo Wilderness shortly after sunset. After re-engaging with our guide and driver Chester (who also came with our replacement vaccination certificates! ), we were driven all the way back to Lusaka, where we spent the rest of the evening. Given how long that drive was, it was a good thing we didn’t push our luck trying to spend another night in Mutinondo Wilderness then rush to catch an 11am flight the same day as what was originally planned by the tour operator! On this day, we were transported to the airport then flown to Arusha, Tanzania to begin the next leg of our African journey. 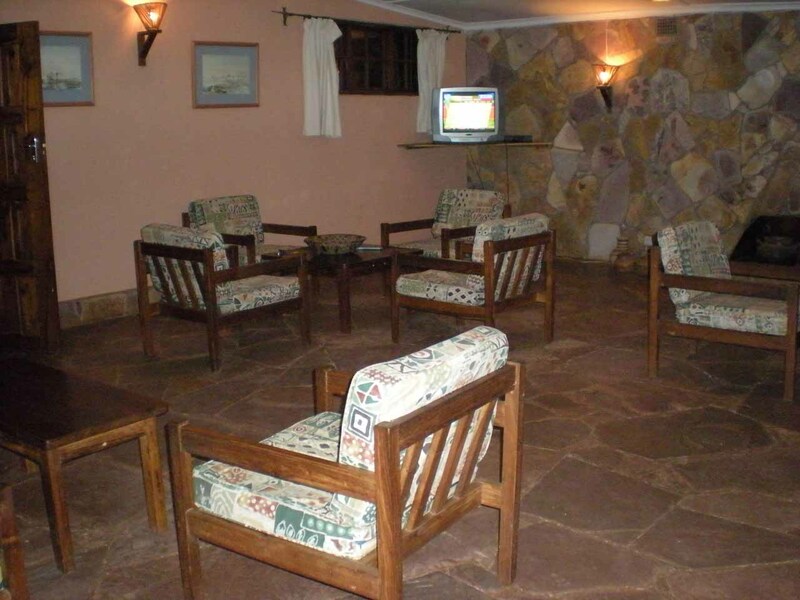 Isanga Bay Lodge, Lake Tanganyika – This accommodation was kind of our oasis of comfort and relaxation when it came to our trip, and it was crazy that it almost didn’t happen given the drama we had to face when our safari vehicle broke down. In fact, it actually took a competitor with Thorn Tree to pick up the slack when Zambia Safari Company was struggling with the circumstances in order to finally make it to this location. Anyways, we were treated to wonderful meals, a comfortable bungalow, and even a friendly dog who was always on the front porch of our room. 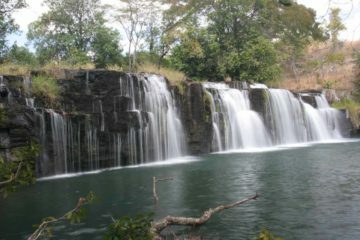 They also made sure that our day hike to Kalambo Falls was going to happen. Moreover, there were wooden lounge chairs on the beach looking towards Lake Tanganyika to recover from the hot hike done earlier in the day. I’d call this place the highlight of this Zambia Safari tour, especially since it really seemed like the rest of the trip was looking up after this turning point. Indeed, it was the highest high after some pretty dire lows just the previous few days. 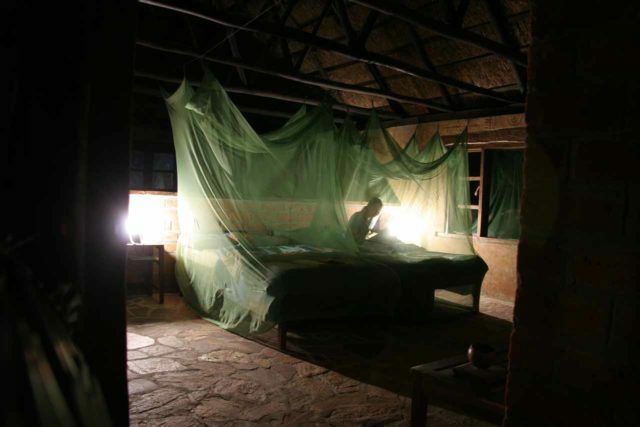 Mutinondo Wilderness – This was a truly back-to-nature eco-lodge where we stayed in open-air huts with no electricity (save for battery-powered lamps) and solar-heated water (so we did have a hot shower). The dinner and breakfast we had here was authentic and delicious. And it was a shame that we only had one night here. I would have loved to have spent two nights here so we could have explored more of this wilderness in the heart of Zambia.